Centene Corp. on Wednesday said it will buy fellow Medicaid insurer WellCare Health Plans in an estimated $17.3 billion deal. All in all, the two insurers would cover nearly 22 million people in Medicare, Medicaid and the ACA exchanges. Centene CEO Michael Neidorff will serve as chairman and CEO of the merged company. "With the addition of WellCare, we expect to bolster and diversify our product offerings, increase our scale and have access to new markets, which will in turn, enable us to continue investing in technology and better serve members with innovative programs designed to meet their needs," Neidorff said in a statement. Combined, the merged company would boast $80.5 billion in revenue and $1.3 billion in net income. It would include more than 12 million Medicaid beneficiaries and almost 1 million Medicare members, along with a Medicare prescription drug plan WellCare is acquiring from Aetna. The insurer's rolls will also be bolstered by Centene's recent Medicaid contract win in North Carolina. The company's joint venture with the North Carolina Medical Society, Carolina Complete Health, scored a contract to serve Medicaid beneficiaries in two regions in North Carolina starting in 2020. Centene had been gunning for a statewide contract. Centene saw its ACA exchange membership swell to almost 2 million during the latest open enrollment, giving it about a 20% market share across the country. WellCare's recent growth focused on Medicaid, where it has million members, thanks in large part to its $2.5 billion acquisition of Meridian Health Plan that closed in September. The news comes just days after the Justice Department changed course and told the 5th U.S. Circuit Court of Appeals that it supported striking down the entire Affordable Care Act. Previously, the federal government had supported a partial repeal. Centene's shareholders would own 71% of the merged insurer and its board would fill nine of the 11 board seats after its projected close in the first half of 2020. Centene will pay 3.38 shares of its stock and $120 in cash for each share of WellCare stock, or $305.39 per WellCare share. That's equates to a 32% premium to WellCare's Tuesday closing stock price. WellCare's stock price bumped up 14% before market open while Centene's stock took a 5% dip. The merger announcement did not surprise equity analysts. 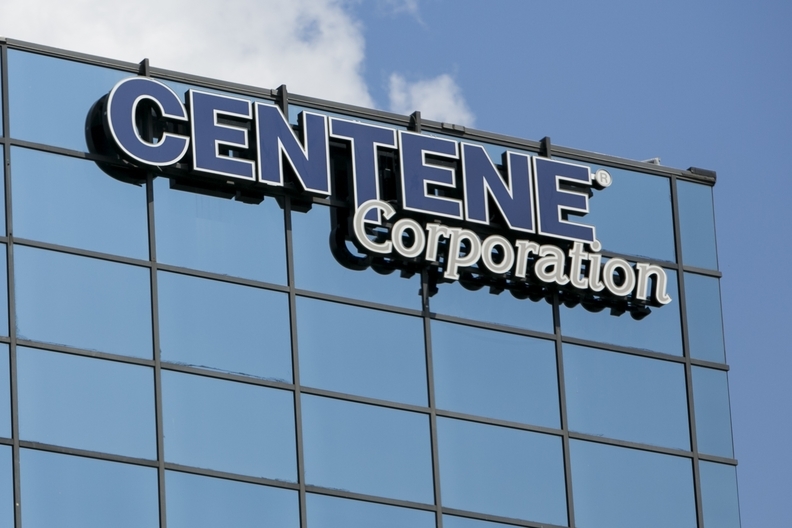 In a research note, Leerink Parnters analyst Ana Gupte wrote that the move would allow Centene to drive margin expansion and accelerate its slowing growth, while diversifying itself at a time when the ACA is at risk. WellCare shareholders may be less keen to approve the deal, she wrote, given the Tampa, Fla.-based health plan's better growth path. She estimated the deal has about a 60% likelihood of being approved by antitrust regulators, but would require divestitures in Florida and Georgia where the two insurers have overlapping business.